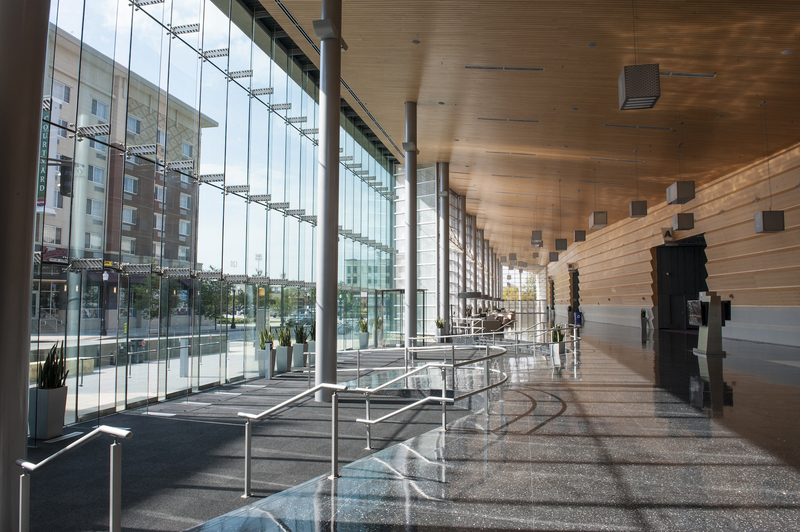 Defining the Grand Wayne Convention Center involves more than recognizing its innate and consistent brand of hospitality—it's the combination of architectural features and services with the staff and their sensitivity toward making every event remarkable and beyond expectation. Click here to see a full list of our competitive advantages. AFFORDABILITY — The Grand Wayne Convention Center (and Fort Wayne, Indiana, in the broader arena) saves event planners nearly 15% more across the board in expenses than other major U.S. cities. ACCESSIBILITY — As the Midwest's premier drive-to destination, we are located within 500 miles of half the U.S. population—meaning the Grand Wayne Convention Center is an ideally centralized location for events seeking convenience, comfort, and capability. CAPACITY — The Grand Wayne Convention Center spans two city blocks and offers 225,000 square feet of luxuriously appointed, carpeted, and climate-controlled convention and meeting space with intuitive traffic flow and easy loading bays. Within the Center, planners find a beautifully appointed, 50,000 square foot exhibit and convention hall, 18 meeting rooms, and spacious pre-function areas ready to create the perfect creative backdrop for any event. In-house event coordinators, AV technicians, event hosts, and gourmet food and beverages make every event planner's job easier and more successful. Two full-service hotels with garage parking connect directly with Grand Wayne, welcoming guests with a comfortable, secure stay. A WHOLE COMMUNITY — The Grand Wayne Center is in the center of more than 20 restaurants and pubs, more than 500 guest rooms, delightful shopping experiences, and nationally acclaimed features such as Parkview Field, the historic Embassy Theatre, a lush botanical conservatory, the world's second largest genealogical center, a marvelous zoo, museums, and a parks and trails system.